This lovingly cared for home is presented for sale with no upward chain & has been extended to the ground floor offering well proportioned living accommodation. Situated in the sought after village of Enderby an internal viewing is highly recommended to truly appreciate the potential this home has to offer. Entering into the hall you will be greeted with a handy cupboard for storage & a door leading into the lounge. 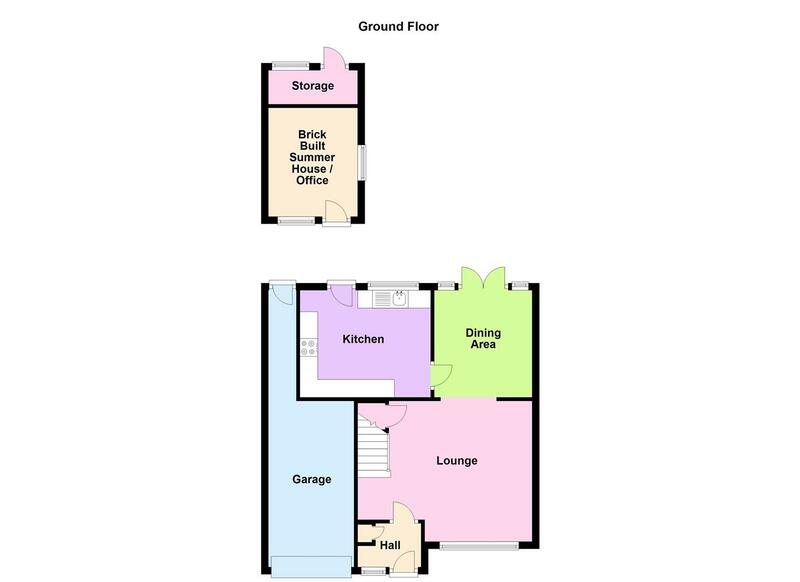 A lovely open room with a staircase leading to the first floor & built in cupboards, storage & a fitted desk. An archway leads into the dining area where the wood effect flooring from the lounge continues through. There is plenty of space for family dining whilst overlooking the garden from the French doors. The kitchen benefits from being extended & so has ample space for wall & base units with work surface & sink drainer unit. There is an integrated oven, hob & extractor fan as well as a washing machine, upright fridge freezer & a slimline dishwasher. 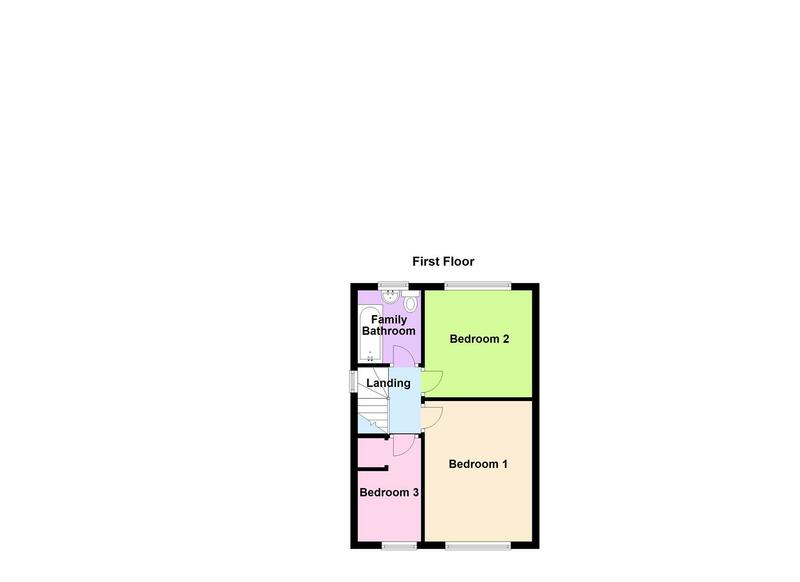 Travelling up to the first floor you will will not be disappointed with the bedrooms, there are two double rooms & a good single room with a built in over-stairs storage cupboard. Over in the family bathroom is a white suite comprising of a pedestal wash hand basin, low level wc, bath with mixer tap & over head shower. To the front of the home is a pretty lawn garden & off road parking leading to a single garage with up & over door & a courtesy door takes you to the rear garden. Without houses looking directly over the garden it has a real feeling of privacy, it is enclosed with a fenced perimeter & has been designed for easy maintenance with a gravelled area & a patio for outside dining. The brick built summer house is a great addition to the home & has so much potential to be utilised to suit your own individual needs, whether that be a lovely retreat to sit & relax, office or even a gym area, you really can decide. A storage area is located to the rear of the summer house. Draft details.